Journey back with me to a story I shared on Pentecost Sunday a year ago about the oneness and unity we celebrate as a diverse community created and brought together by God through the workings of Spirit. The Ehad were a small group of travelers known across the land of Aretz for their oneness. 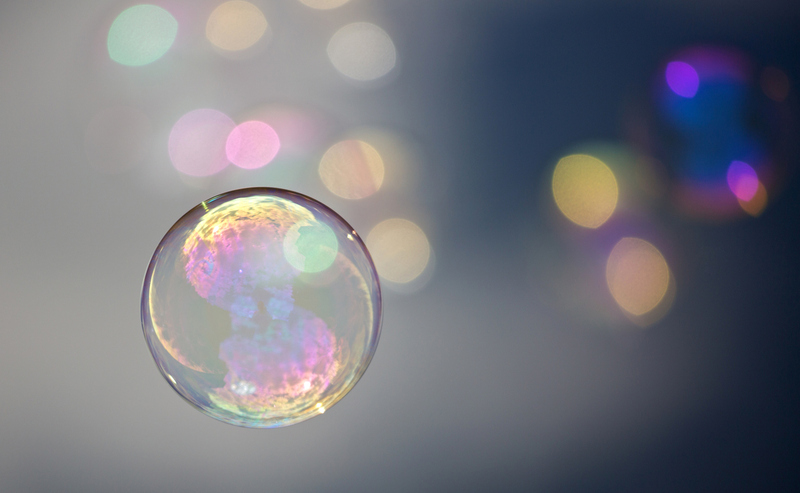 They were small, colorless creatures that looked much like a bubble. They had few other features on their bodies and really little need for much else because of their sameness. That is, they did not need mouths to talk or ears to hear one another because they all thought the same things at the same time and in the same way. This may sound crazy, but when one wanted to go a certain place, then they all together wanted to go to that same place at the same time. They were, after all, the same. One day as the Ehad were traveling across Aretz from one place to the next, they all had the same thought at the same time – that is after all they way the Ehad work. They all realized that after traveling so many places for so long, that there was the potential for them to get lost, to become scattered and this would destroy their oneness. So, they decided to stop their travels and build a great glass city. The glass would be thick and strong to protect them. And it would also be clear so that all the world could see the oneness of the Ehad through the city walls. And so they began to build. As the Ehad were nearing the completion of their new home, something strange began to happen. The Ehad could feel a great force pushing and pulling them away from their glass home, but they could not see it. They knew at once that this force must be the Wind Spirit, known to all Ehad as Ruach, the one who blew every Ehad into existence. Try as they might to stay together, to maintain their oneness, the Ehad could not stop the great Ruach from blowing them in all directions, scattering them from their glass city to the far corners of the land of Aretz. Now the land of Aretz was a land of many colors. And as the Ehad were scattered by the wind of the Great Ruach, some blew to a place of green. Other Ehad blew to places of different colors – some to a place of blue, some to a place of red, some to orange and yellow, indigo and violet. Now scattered in different places, the Ehad did not know what to do – they did not know if their thoughts were the same, they did not know if their actions or decisions were the same, they did not know if they were any longer one. And so each Ehad, frightened by the potential loss of their oneness, decided that they must quickly find some oneness, or be lost forever. The once colorless Ehad in the place of green found oneness by becoming more and more green. They began to look green, to think green thoughts to make green decisions and to take green actions. The Ehad in the place of blue did the same as did the Ehad in the places of red, orange, yellow, indigo and violet. Soon, there were Ehad of many different colors with many different colorful thoughts in many different colorful places. Over the years that passed, this new oneness found by the Ehad began to feel comfortable and good and right. And the Ehad soon forgot about the oneness of their colorless life together and the great glass city which they once tried to build. Then one day, across the entire land of Aretz, in every place, there came a brisk, rushing wind. And instantly each Ehad in their different places of color remembered something long forgotten: the time when the great Ruach blew them from the great glass city to scatter them to places far apart. This memory awakened something within each Ehad – a longing for a oneness from long ago. Though a bit frightened by the memory of the scattering, this longing was powerful. And so with varying degrees of uncertainty, each Ehad set out to travel along the current of the rushing wind trusting that it must be a sign from the great Ruach encountered so long ago. After days and days of traveling, Ehad of every color, each traveling from a different direction began to see in the distance a gleaming structure that could only be the great glass city from their colorless past. The Ehad began to move faster and faster toward the city and soon enough they all converged upon the great glass city. And for the first time, Blue Ehad saw Red Ehad and Green Ehad saw violet Ehad and Orange Ehad saw Indigo Ehad. Green Ehad began sharing Green thoughts. Blue Ehad began sharing blue thoughts. Red Ehad began sharing red thoughts as did orange and yellow and indigo and violet Ehad. And there was an incredible amount of diversity among the Ehad. And while green Ehad agreed with Blue Ehad, they disagreed with red Ehad. While organge Ehad agreed with yellow Ehad, they disagreed with indigo and violet Ehad. And the Ehad all realized that they were different. Just then, as different Ehad were agreeing and disagreeing with one another, the rushing wind became loud and violent. It pushed and pulled the Ehad, but this time it did not scatter them. No, the wind picked up each Ehad and pushed them towards one another. In fact, the wind became so hard and so strong that the colorful bubble-like bodies of the Ehad were squished together as the wind swept them into one another. Green Ehad were being swept into Blue and Red Ehad. Yellow Ehad were swept into Orange and violet Ehad. Ehad of every different color were swept up and squished together. And the wind did not stop until all the Colorful Ehad had been swept together into one great multi-colored Ehad. Together, the Ehad now looked like the largest bubble you have ever seen glistening in the sun which illuminated every color of the rainbow on its surface as if it was on fire! And just as the colors swirled together on the Ehad’s body, so too their colorful thoughts swirled together as each individual Ehad brought an important idea to the other Ehad. The Ehad no longer all thought the same things, but instead they had many different thoughts which came together into one whole thought within this giant Ehad. The Ehad had finally found the oneness for which they had longed. And this oneness did not come through their similarity or their colorlessness. No, their oneness was made possible because of their diversity. Every different color of Ehad was needed in order to make the Ehad whole. If we are to become one, then we must learn the great lesson of Babel and Pentecost: unity from diversity. We become one when we become different and listen to and work together from the strength of our difference.